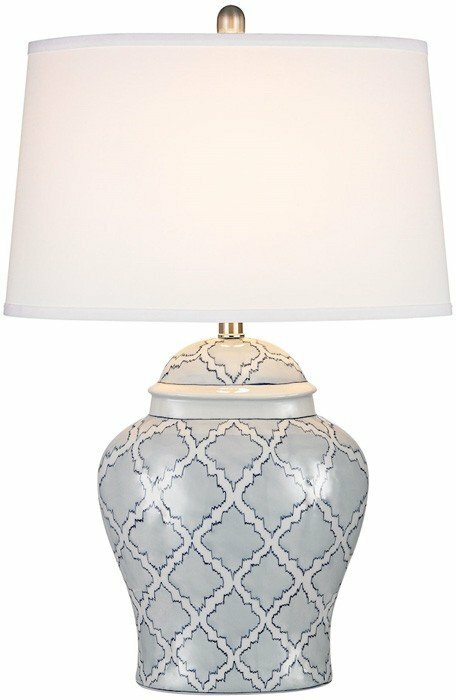 Our Aragon ceramic table lamp borrows the silhouette of a beautiful Al-Andalusian urn, presenting a highly elegant creme-glazed base enhanced with a hand painted trellis of soft silver quatrefoils. Uniquely serrated navy blue cusps contribute contemporary nuance. 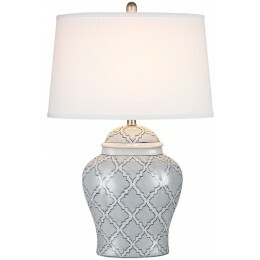 Cool white fabric shade.